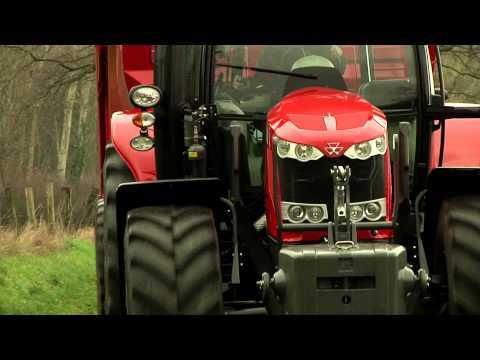 Massey Ferguson introduces the very latest in 4 cylinder engine technology to the new MF6600 Series. With compact dimensions, low overall weight and excellent manoeuvrability, the Massey Ferguson 6612 offers the highest perfomance of any 4 cylinder tractor on the market today. The MF 6612 has a perfect power to weight ratio for extraordinary all round machine ability and coupled with the Dyna-4 four speed powershift transmission it is a versatile and flexible tractor suited to the wide spectrum of tasks across arable, mixed and dairy farm businesess as well as contracting operations.